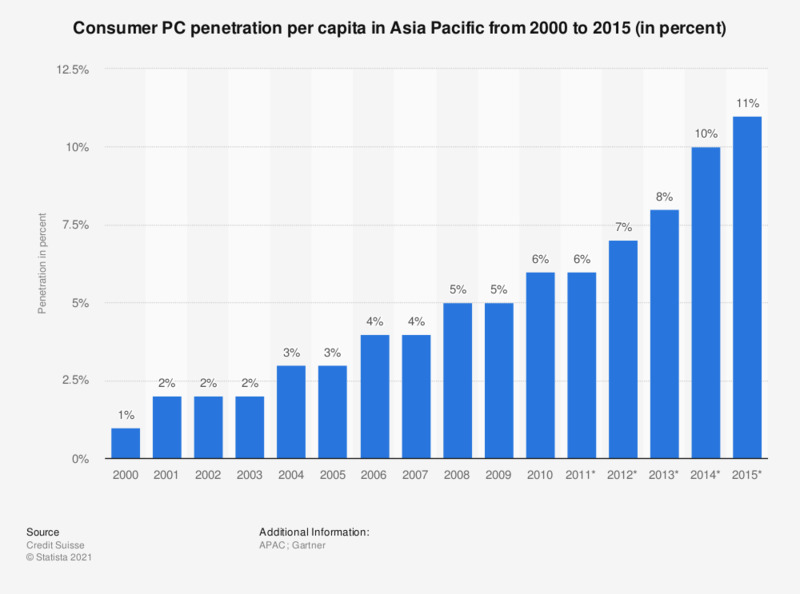 The statistic depicts the consumer PC penetration per capita in Asia Pacific from 2000 to 2015. In Asia Pacific, the consumer PC penetration per capita was 4 percent in 2006. In 2015, the PC penetration per capita is projected to reach 11 percent.